B D Narayankar Corner: Will journalism survive PR onslaught? Pune: Before the public relations hit Indian market in late 1990s, journalism was something business reporters went out and did. Stories did not trickle out over phone by seductive strangers. But the profession has undergone a transformation. Journalists are under the glare of PR firms so much so that it has become a Herculean task to get whatever required from company bosses to create national headlines. If they shot questions at company officials, they are fobbed off to the PR firms hired by them. Interestingly, many media houses themselves have hired PR agencies to build image. There was a period when Samir Jain, proprietor of Times of India, barred PR agents entering Times House. It doesn’t, however, seem that the ban is still on by judging the look of the paper today. This is true with business houses, and governments are not left far behind too. For instance, Himachal Pradesh has hired Perfect Relations to talk about its development initiatives. Business is booming for Indian PR industry. It is expected to grow $ 6 billion by the year 2010. As per the survey conducted by Associated Chambers of Commerce and Industry of India (ASSOCHAM), Indian PR industry, at present, is worth $ 3 billion. The growth of public relations is in direct proportion to the ascendance of froth in the Indian media. The survey reveals that in the economic boom, a huge competition has emerged for brand building as result of which PR agencies are in demand and quoting a very market-driven prices for their services for which takers are available. Indian PR industry comprises 1,200-1,500 agencies with their manpower strength of between 30,000 to 40,000. Business is booming for PR industry. In terms of vertical markets, healthcare has been identified by several of the industry as the fastest-growing sector. There are more than 100 agencies. Big ones have 10-15 branches across India like Perfect Relations, Genesis PR, Blue Lotus and Vaishnavi. Medium ones, on the other hand, have 4-5 branches. 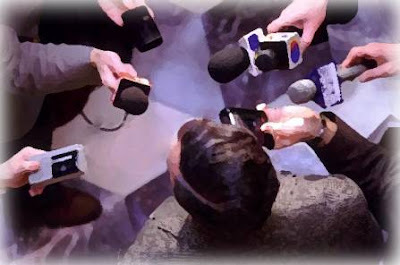 In this economic boom, the big question is – will journalism survive PR onslaught?